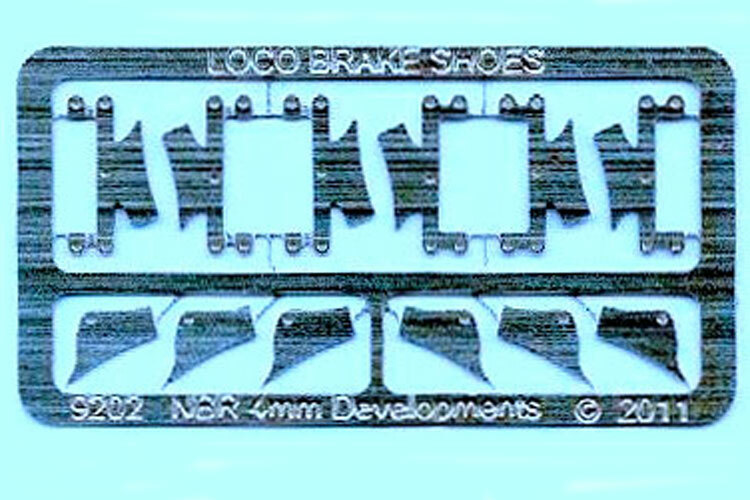 Brake shoes and hangers fitted to both the NBR and CR locos were very similar in both size and design. The 9202 etch can be used for locos of both companies. 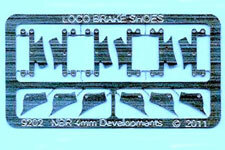 The brake etches are suitable for locos with 4’6” and 5’0” wheels. The etch contains 6 brake shoe overlays and 6 brake shoe hangers.